If you’re a big fan of the lottery, then you’ve probably already heard of the guy who won it a total of seven times, Richard Lustig. We all know how tiny the odds of winning are, so how did he manage to pull it off? According to Lustig himself, those wins happened because he followed his own strategy – one that he claims to have developed over many years of playing the lottery. 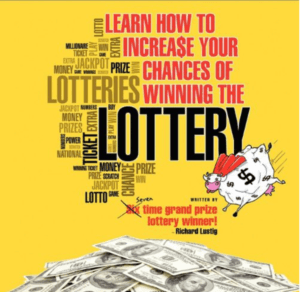 Learn more about these so-called lottery-winning strategies in the sections below. He racked up those wins between 1993 and 2010, and earned more than $1 million in jackpots. He eventually wrote a best-selling book on lottery-winning strategies, which you can purchase today. Unlike some other lottery winners, Lustig wasn’t the type to keep a low profile. Instead, he made a business out of his success – specifically by heavily promoting his work on media and in lottery-related events and programs. Quite the lucky streak, wouldn’t you say? What people don’t realize, though, is that Lustig lost a lot of money chasing those wins. Think about it: between his seven wins, Lustig played the lottery constantly without much payoff. He was pretty much addicted to the game. And this addiction was largely fueled by his own prize money. 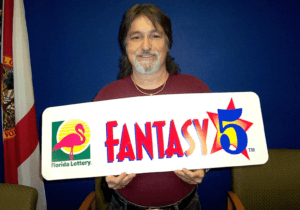 There are even rumors that Lustig lost most of his Florida Mega Money winnings ($842,152.91) on lottery tickets. As for his current net worth? Perhaps that’s something only Lustig knows. But judging by his propensity to spend his winnings on “reinvesting” back into the lottery, we’d assume it isn’t anything spectacular. After logging his final win in 2010, Lustig changed course and started capitalizing on his fame instead. By then, he’d become a legend – or, to some folks, notorious – in the lottery industry. He funneled the allure of that reputation into a product: a 40-page booklet called Learn How to Increase Your Chances of Winning the Lottery, retailing at $40 per copy. Predictably, Lustig’s book was an instant hit. It captured the #3 spot on Amazon’s list of best-selling self-help books at the time. The book became so popular that Richard Lustig’s story got featured by media outlets like CNBC, ABC News and CNN Money. Book Review – Should You Buy His Book? Let’s put it this way: you might want to think twice about dropping $40 on a 40-page booklet. Richard Lustig might have an impressive winning record, but that doesn’t mean he’s a lottery expert. Sure, his extensive lottery experience means he’s far from a fraud, but a close reading of his booklet will show that he shouldn’t be the last word on how you buy your lottery tickets. Some of the tips in Lustig’s “universal lottery methods” can be useful, like his advice on declaring losing lottery tickets to offset possible tax deductions for future wins. The bulk of Lustig’s advice, though, is either illogical, already disproven, or freely available elsewhere on the internet. Lotto Dominator is another book that has Richard Lustig’s name attached to it. Like the first book, Lotto Dominator claims to increase your chances of winning the lottery. However, it would appear that this particular book might not even be Lustig’s work, after all. Our Lotto Dominator review goes into more detail, so be sure to check that out if you’re interested. Truth be told, there was no formula. 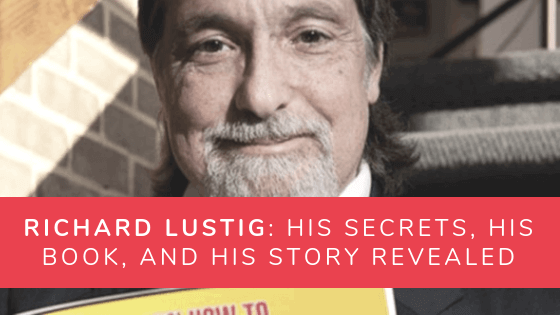 Richard Lustig’s “secret” was a strategy he developed himself, and it didn’t really involve any complex calculations. Pick your own numbers. Never buy quick-pick tickets. Keep using the same numbers combinations until you win. Stop using a combination after it wins. Reinvest your winnings back into the lottery. Lustig recommends at least 33% of your winnings. How Lustig came to these conclusions is beyond me – especially when so many people have won the lottery with quick-pick tickets. More importantly, whether your numbers are picked by you or by an automated system, your odds of winning will still be the same. Lustig also advises people to always play the same numbers, but to stop playing these once you win. His reason? The same numbers never win twice. It sounds reasonable, but it’s still wrong. There have been many cases where the same winning numbers came up during separate draws. It’s unlikely, but not impossible. Lottery Expert or Fraud or Just Lucky? Richard Lustig may have seven lottery wins under his belt, but you should still take his advice with a huge grain of salt. The lottery is random, and you don’t need a special skill to win. Likewise, no special “strategy” can guarantee an eventual win, either. Lustig might seem like he knows how to defy the odds, but the fact is, he simply kept buying tickets until he got lucky. If Lustig’s “universal strategy” worked as well as he claims it does, everybody who bought his book would have winning streaks of their own by now. But we don’t have numerous players replicating Richard Lustig’s seven-win streak yet. So should you try to replicate Richard Lustig’s strategy? To put it simply, no – you really shouldn’t. Richard Lustig won so many times because he didn’t stop playing. After he got lucky the first time, he simply “reinvested” his winnings back into the lottery by buying as many tickets he could afford. Not only is this unsustainable, it’s not a real strategy to begin with. You’re still relying on luck, for the most part. And there are much smarter investments you can make anyway. Put it this way: Richard Lustig believed he had a strategy, when he really was just making poor investment decisions. Now, is that something you want to replicate? I don’t know about you, but that doesn’t seem like a good return on investment. Richard Lustig passed away last July 30, 2018 at the age of 67. His media representative, Mr. Burke Allen, confirmed the news when we reached out after hearing rumors of Mr. Lustig’s death. Richard Lustig leaves behind his wife of 32 years and their two children. I personally never purchased any of his Lottery material . I wish I could have talked with him about lottery . He mentioned about never replaying the exact numbers after a big win and I agree with him on this matter . POWERBALL is my game , and I simply love working with numbers . Matter of fact …. I have it charted back to day one ; when the name changed to ” Powerball ” back in 1992 . He mentioned ” doing homework ” and I have 5 different books to cover hot & cold , frequency, numbers used each as pairs and a few more more . I play a few tickets on the draw dates , when I have time . I LOG EVERY NUMBER whether I play or not . My records indicate that only One ( 1 ) time has a number been duplicated as a Winning number . I win a lot >> and I lose big Jackpots only by either 1 number up or down . Still have not mastered this when choosing my numbers . I always play what I can afford ….. never more . I win more money by selecting my own numbers >>> ALWAYS !!! Sorry Mr. Lustig passed away. Condolences to his family and friends. He was a fraud or at least greatly misrepresented his story. I wouldn’t be surprised if he got way more selling his book than with lottery purchases. Page 13 of his little booklet: he claims ” … it’s just simple math …” that if you keep betting the same numbers, your chances of winning get better with each gamble, “… ask any math professor.” Well, this is simply an ignorant falsehood. Each draw, the chance of any one combination coming up is exactly the same. ASK ANY MATH PROFESSOR! Hi Bianca, thanks for the heads up. We reached out to Mr. Lustig’s representatives and got confirmation. We’ll be posting the official press release as soon as we get it. Hi Stefan, I’m afraid Mr. Lustig has really died.